For images of this species, see: BG. Abundance: Rare but probably overlooked due to confusion with H. balteata. Recorded from a single county in the Piedmont, probably more abundant in the right habitat. Comment: Hymetta can be a challenging genus to identify. There are a number of forms for species and a lot of variation therefore in color and pattern, causing some individuals to look like other species. It is helpful to understand Hymetta wing patterning when trying to distinguish between species. There are three crossbands on the wing. Crossband #1 is located past the apex of the scutellum, across the base of the wings; this crossband often has an arched median section. Crossband #2 is a less distinct, dusky to reddish transverse wavy broken band that crosses the wing before the crossveins of the apical cells; this crossband is not present in all species. Crossband #3 is a dusky to blackish oblique (diagonal) band across the apical cells, forming an upside-down "V" when viewed from above. 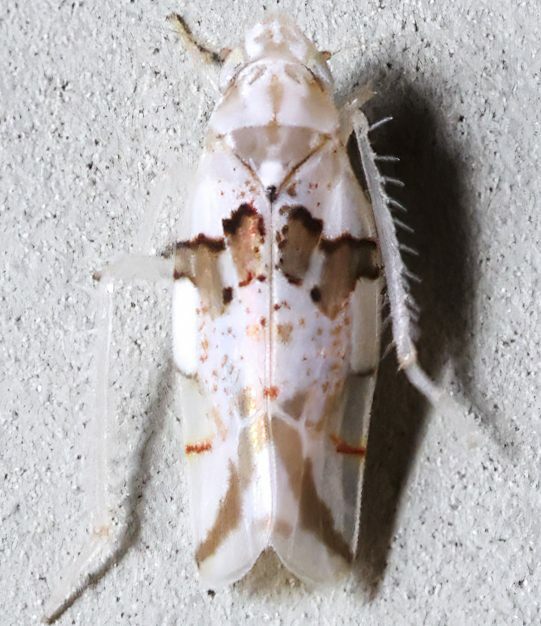 Three Hymetta species have been recorded in North Carolina: anthisma, balteata, and trifasciata. 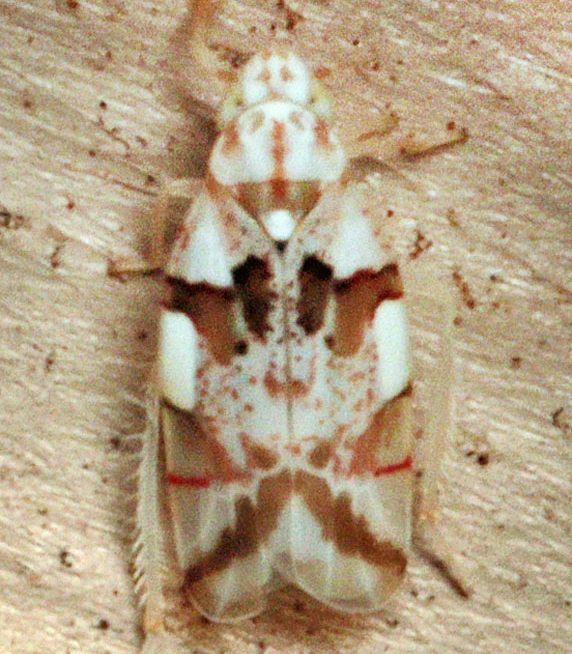 H. trifasciata is most likely to be confused with H. balteata. Both species have a bold, dark crossband #3. However, there are several key differences that can be used to separate the two species. - trifasciata tends to be on average smaller than other Hymettas; overall small size is an indication that an individual could be trifasciata. - trifasciata tends to have relatively few reddish flecks and dots on the clavus and corium [parts of the wings] compared to some balteata; the speckling also tends to be paler. The base of the wing, between the first crossband and the thorax, is unspotted with sometimes only several spots along the fissure (inside margin of the wings). 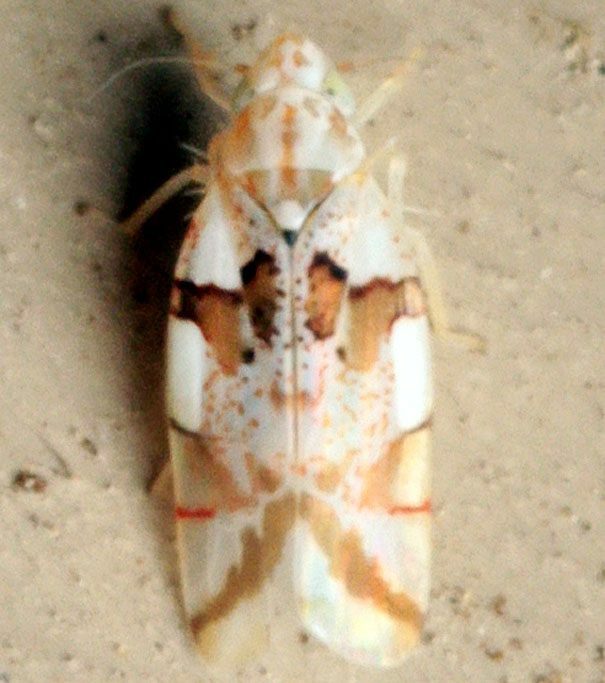 Heavily spotted individuals that have spots across this base region of the wing are likely to be balteata. - in trifasciata, the first crossband on the wing is strongly narrowed on the costal margin, enlarging further into the wing. In balteata, the crossband is at most slightly narrowed at the costal margin, often times not narrowed at all. Additionally, the overall shape of the band differs. In balteata, there tends to be a sharp triangular projection on the anterior margin of the band, lacking in trifasciata. Additionally, in trifasciata the band tends to be relatively straight or slightly downcurving towards the interior raised section of the band, resulting in a stronger difference in 'height' between the two sections of this band. 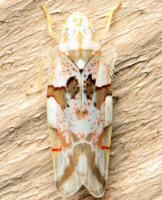 - in trifasciata, crossband #2 is clearer and more defined, and therefore darker than in other species. There is a noticeable broken band on trifasciata which is lacking in balteata.